Finger length may reveal a Sumo champion! When looking at Sumo wrestling, the LAST thing on your mind is probably the Sumo wrestlers' hands. Much more likely, people will think about how they could probably get crushed by the ussually impressive amount of weight of a Sumo wrestler. 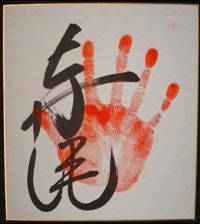 However, interestingly, hands do matter in Sumo wrestling! 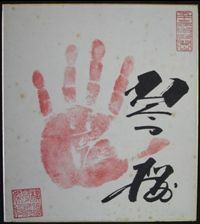 And last month a study revealed that a Sumo wrestler's hand might even reveal whether he is likely to become a Sumu champion. 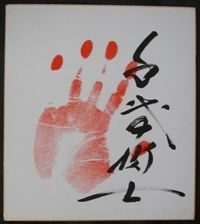 The study was published by Tamiya et al., titled: 'Second to fourth digit ratio and the sporting success of sumo wrestlers', in: Evolution and Human Behavior, 2011. 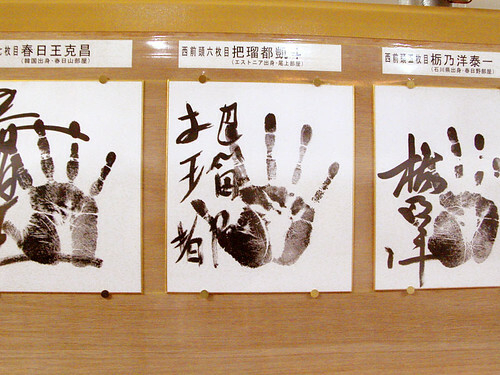 When sumo wrestlers become professionals there are expected to provide 'Tegatas', signed handprints in red or black color. 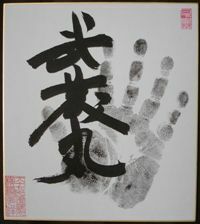 In 2013 a ban was made on the provision of original handprints of all current Sumo wrestlers after scientists had discovered that DNA material - including skin cells - provides information about stamina in professional athletes. 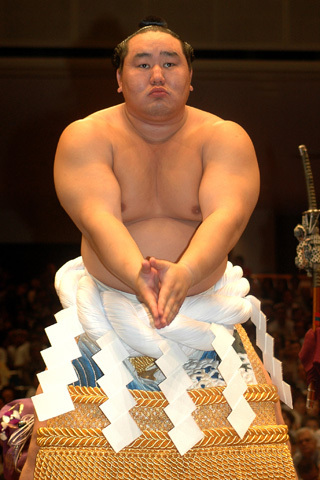 The ban was made to avoid that Tegatas would get (ab)used for gambling purposes in Sumo wrestling tournaments. 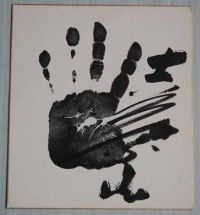 Look carefully at your hand. Specifically, look at your second and fourth digits of your dominant hand (if you're a guy, if you're a girl - well I have no idea what this will mean). The index finger and the ring finger are known to indicate exposure to testosterone in utero. Basically, the ratio between the two correlates with in utero testosterone exposure, with a smaller ratio indicating MORE testosterone. And this exposure to testosterone, and the smaller digit ratio, has been correlated with increased athletic performance in things like rugby, fencing, skiing, and football. So you know, why not sumo wrestling? The authors wanted to get digit ratios off Sumo wrestlers. They did not want to take measurements from wrestlers who were still competing, because those might have ranks and winning ratios that would change over time (also, walking up to a sumo wrestler and asking for his digits seems like something it would take a lot of courage to do). They needed retired sumo gods. Luckily for them, sumo is a very big deal in Japan, and there is a sumo museum, dedicated to the successes of sumo wrestlers over the years. 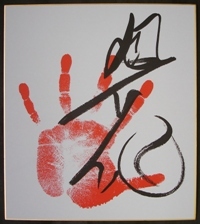 And as part of their collections, they collect the HANDPRINTS of each wrestler, which wrestlers are expected to provide when they become professionals. Remember, the smaller the ratio, the higher the testosterone exposure. And in this case, the "better" the wrestlers, or at least the higher rank. It looks like there might be an effect on size, but they don't mention it. 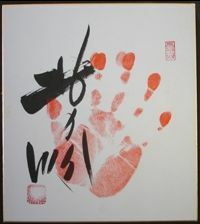 So the smaller digit ratio is correlated with a higher winning percentage in sumo wrestlers. This goes along with other findings in other sports. But the effect size they found here was smaller than in other sports, especially those requiring large amounts of endurance. So they think that the digit ratio may be correlated more with endurance than with pure explosive power. It makes me wonder if the differences are correlated with any differences in competitiveness, though that would be VERY difficult and biased to measure. And obviously this is all correlation, but it makes me wonder if some sports coaches will start to look at their athletes hands suspiciously. So dudes, look at your hands. Were YOU born to be a sumo wrestler? 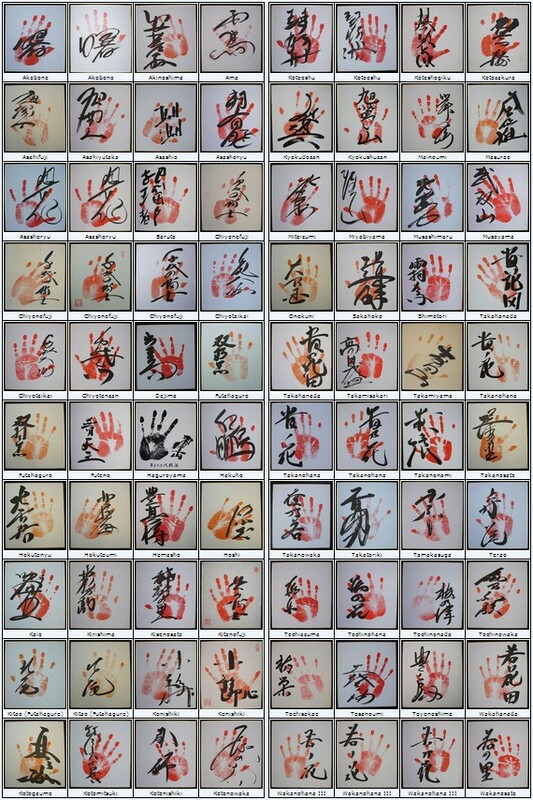 Trivia: Yokozuma during twelve years and three months, an all-time record! Trivia: won his first championship with a perfect 15-0 record in January 1954! 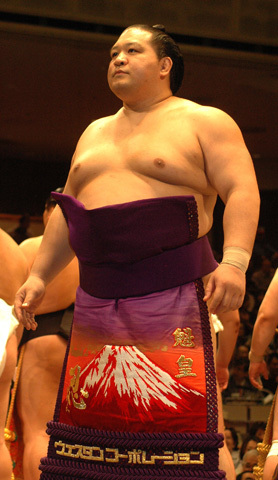 Trivia: won 10 top division championships, was one of the lightest yokozuna ever (around 100 kg)! 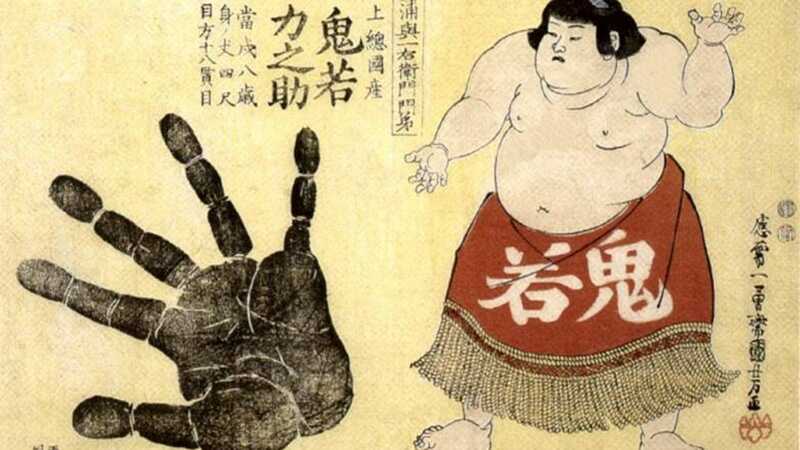 Trivia: oldest Sumo wrestler to be promoted to yokozuna since 1958! 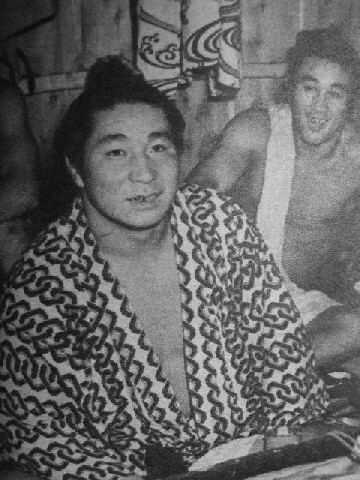 Trivia: yokozuna at age 21, youngest ever! 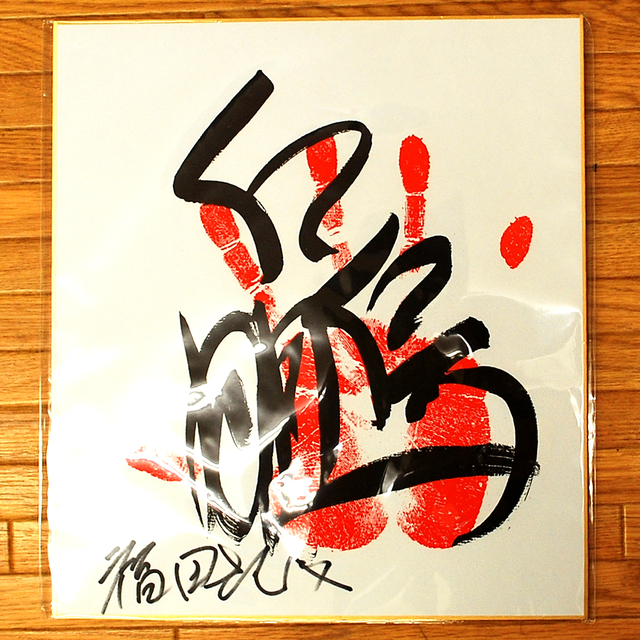 Trivia: records for most career victories (1045) and most wins in the top makuuchi division (807)! 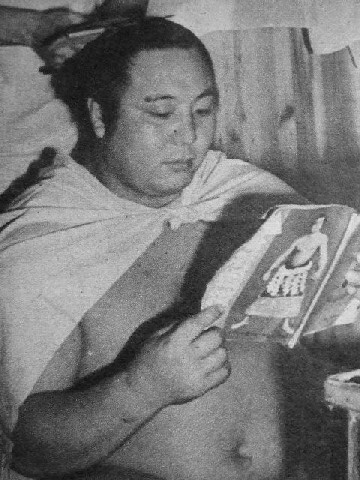 Trivia: the first non-Japanese-born wrestler ever to reach yokozuna! Trivia: second foreign-born wrestler in history to reach yokozuna rank! Trivia: the first wrestler to win all six official tournaments in one year! Trivia: 86 tournament wins in 2009, the all time record! 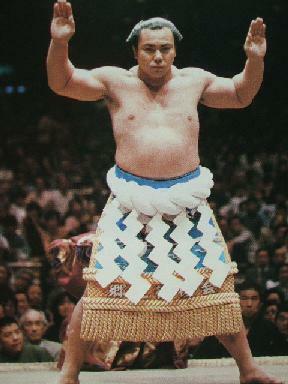 Trivia: heaviest Sumo wrestler ever! 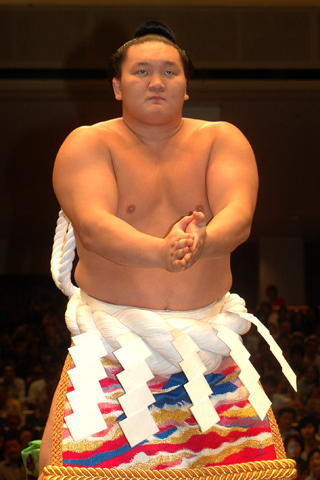 Trivia: longest-serving tournament-sumo wrestler of all time! Trivia: 2nd most career bouts of all time: 1795 bouts! Trivia: defeated more yokozuna than any other untitled wrestler! 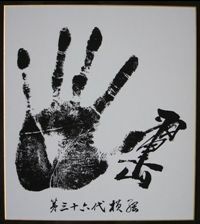 • Finger length may reveal a Sumo champion! 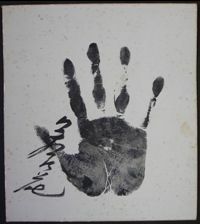 • Usain Bolt: the world's fastest hand! • Digit ratios predict football ability! • Basket ballers have large hands + low digit ratios! • Pointing a finger at success in athletics!